Gated communities that have jumped on the bandwagon of intelligent home security have realized their perks at multiple levels. Lets’ delve into the top five in this article. It was not too long ago when the great Indian dreams was that of owning an immaculate bungalow surrounded by a sprawling compound and manicured lawns. But try to sell that dream to middle-class urban –dwellers today and they will likely wave it away in an instant. The new breed of tenants that largely consist of pensioners and millennial are migrating away from isolated homes in search of a sense of community and security. They find that sweet spot in the folds of gated communities that are quickly burgeoning across top metropolitan cities. Thought gated communities are rapidly growing in popularity’ they also come with their fair share of challenges. A typical apartment complex with 400-500 units will likely experience a daily footfall of 1000-1,200 in the form of delivery services, in-bound visitor vehicles, taxis, domestic help, and community staff. A multitude of gated communities still rely on registers, poor intercom service and isolated system like access cards, bio-metrics, car stickers to manage the daily deluge of visitors. Even with all these measures put in place, the security on-ground barely meets residents’ expectations. Apartment complexes have no dearth of crime despite high security expenses. Interestingly, We are also at the tipping point of innovations in the lot space stemming from the rising clamor for a simple, comprehensive and affordable solution that renders other standalone security devices redundant. These are intelligent security solutions that consist of internet-connected devices to enable the remote monitoring and management of home security and put the power of authentication in the hands of the residents themselves. Through a single smartphone application based on behavioral intelligence Augmented Authentication(BIAA), residents can enjoy the benefits of real-time visitor authentication & management , domestic help management, sticker less vehicle parking and card less resident identification as well. Gated communities that have jumped the bandwagon of intelligent home security have realized their perks at multiple levels. We will delve into the top five in this article. 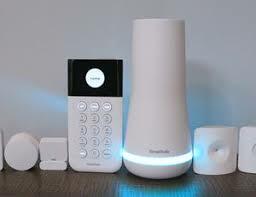 Like their other counterparts in the smart home, intelligent security systems need very little human intervention. Even if required, one does not need technical expertise to handle these devices. Essentially smart security systems are designed to be vigilant on your behalf, In as little as a week’s times, these devices can be successfully setup and deployed. Hiring fully trained security guards to patrol the community can be a costly affair, especially when coupled with a growing rate of attrition in the occupation, Despite heavy investments in staffing the premises, security breaches still occur due to factors such as lapses in judgment and unreliable modes of authentication. Smart systems plug these loopholes efficiently through the digitization of visitor verification and maintaining details on the cloud. Because intelligent systems are so hassle-free to operate, gated communities are able to train their residents, facility managers and guard in a matter of days, depending on the size of the community. Most security vendors today go the extra mile and provide exhaustive training session to key stakeholders anytime they need them during the contract period. Crime that takes in gated communities generally occur due to incorrect or no authentication of visitors who may be coming in the garb of service providers, delivery boys and domestic helpers. While the marketplace overflows with home security option such as alarms and CCTV cameras, they usually do not prevent a crime from happening but act as deterrents. On the other hand, intelligent security systems are designed to accurately authenticate visitors and report any suspicious movement or visitor over say to authorities, before a crime even occurs. That fool-proof security can be achieved only with expensive devices is the greatest fallacy. Call it a boon of IT gated communities can be secured efficiently with zero expenditure. With a trustworthy and intelligent security system in play, gated communities can do away with myriad security devices that drain their effort and time. Gate management runs like a well-oiled machine when the process are digitized and automated and often translates to significant savings of 15-20 percent of the community dime. Must registers come and go but useful data on the management dashboard remain for posterity. Even in the face of attrition among security guards, intelligent security systems hold the key to rich analytics. Features such as complete attendance report and digital tracking of service providers empower the facility manager with all the information needed to create a safer environment on the premises. The greatest benefit of investing in smart home security is the peace of mind that it guarantees to multi-family communities. In a jet-set world like ours there is no greater relief than knowing that one’s elderly parents or young children live in a haven made safe with disruptive technologies. Therefore, the future undoubtedly belongs to innovators that offer simple and affordable home security solutions that adapt to inevitable urban churn with minimum reliance on infrastructure.